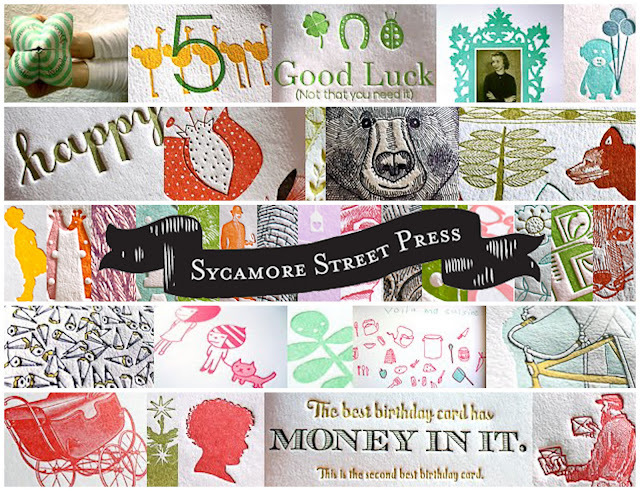 You can find me guest blogging over at Sycamore Street Press all week! My first post is up and features five of my favourite examples of mixing Modern and Old. Check it out here. Sycamore Street Press is an amazing eco-friendly letterpress stationary company run by Kirk and Eva Jorgensen out of Utah. With several contributing designers on their roster, their work spans a wide range of themes but always stays true to a bright palette, simplicity, and a fun, playful perspective. I'm honoured to become a small part of it.